The Danish company confirmed it had not completed PPAs for its Changhua I (294.8MW) and Changhua II (605.2MW) sites in time to receive a feed-in tariff of TWD 5,849/MWh ($190/MWh). Meanwhile, Northland Power and Yushan Energy, which are developing the 532MW Hai Long II site confirmed they also had not secured a PPA for the 300MW feed-in tariff portion of the project. Northland Power added that it would continue to push for a new tariff that reflected the high costs of establishing an offshore wind industry in a new market. Developers faced a 2 January deadline to sign power deals with Taiwanese utility Taipower. But following the close of business, those without completed PPAs may now only be able to claim a new 2019 tariff, which ministry of economic affairs (MOEA) has proposed cutting. Ørsted explained that it had assumed signing the PPAs in 2018 and that the proposed reduced rate would delay final investment decisions on the projects, for which it had secured grid connection in April. The developer added that Taiwan’s bureau of energy had not issued establishment permits for its two wind farms, preventing Taipower from signing any power deal. Ørsted’s CEO for offshore wind, Martin Neubert, said: "We’re disappointed with the process and the delay of the establishment permit and PPA. "We will now pause and revisit our project activities, the timeline of the projects, and our supply chain commitments and contracts." The developer added that tariffs need to "reflect the extraordinarily high costs" of developing a local supply chain to build its projects, reinforcing onshore grid infrastructure and operating and maintaining wind farms in a part of the world frequently hit by typhoons and earthquakes. Northland Power and joint venture partner Yushan Energy, meanwhile, were allocated grid capacity for 300MW of its Hai Long 2 wind farm in April, and then secured a further 232MW in June, bidding TWD 2,225/MWh. The Canadian developer told Windpower Monthly it had been working to secure the necessary permits to conclude a PPA for the 300MW feed-in tariff (FIT) portion of the project, but had not been able to do so because of "delays in issuance of the establishment permit". 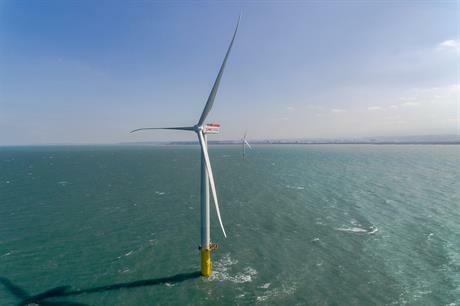 A spokeswoman added: "Along with our industry peers, we are continuing our push for an appropriate 2019 FIT that reflects the cost and complexity of establishing an offshore wind industry in Taiwan." Ørsted, Northland Power, and Yushan Energy - along with Copenhagen Infrastructure Partners and China Steel Corporation - had published a joint statement on 31 December highlighting the benefits their projects could bring to Changhua. In the statement, the companies, which are all developing wind farms to be built off Taiwan’s north-west coast, added that they were committed to obtaining the necessary agreements to secure PPAs for the 2018 tariff. None of these companies have signed PPAs with Taipower, the utility told Windpower Monthly in a statement. Developers without an establishment permit from Taiwan’s bureau of energy at the close of business on 2 January, would not be able to sign PPAs with Taiwanese utility Taipower for the 2018 tariff. The joint venture (JV) of Macquarie Capital and Swancor signed a PPA with Taipower for ouput from its 376MW Formosa 2 project in December 2018. Wpd also signed a power deal for its 640MW Yunlin site, Taipower confirmed. The tariff to be paid under agreements signed in 2019 has not been decided yet. In November, the Taiwanese government proposed a 2019 feed-in tariff of TWD 5,106/MWh — 12% lower than the 2018 tariff — paid for the first 3,600 full-load hours in a year. Taiwan's ministry of economic affairs and bureau of energy have also been contacted for comment.